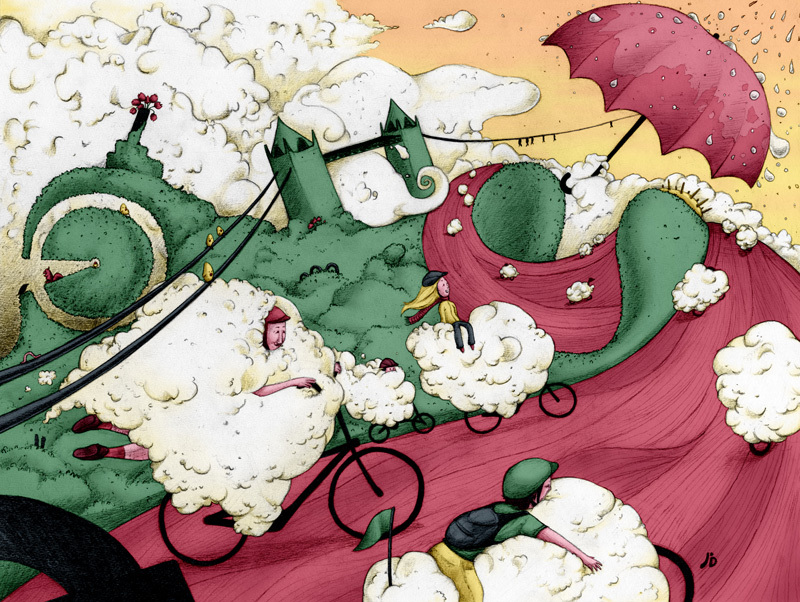 Back in April I submitted my first entry for an illustration competition: London Cloud Ride for the Cycling in London Competition. 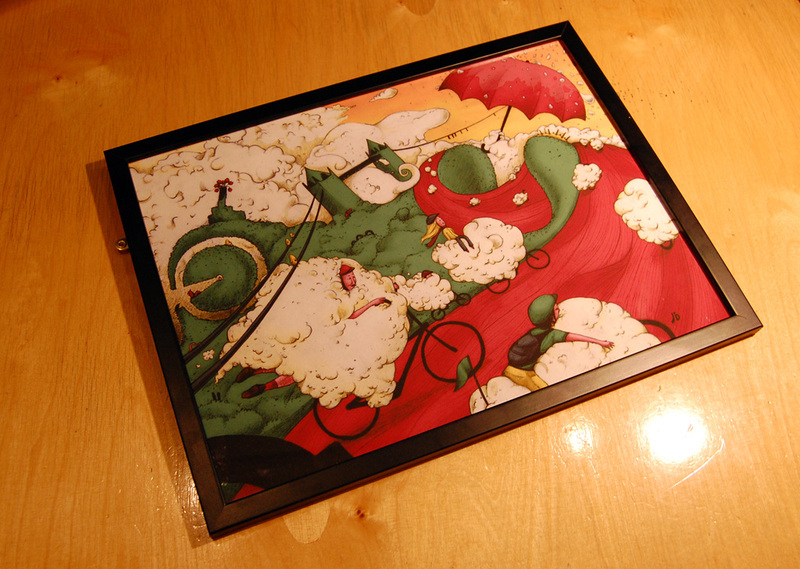 Yesterday I delivered the pictured framed artwork to the Association of illustrators as it will be part of the Cycling in London exhibition at the London Transport Museum from the 5th of July to the 22nd of August 2010. It was unexpected and it feels just amazing to have a first professional recognition about my illustration work as well as serving a sustainable cause.